Jahanara is a force to be reckoned with. The 35-year-old is so articulate that it’s hard to believe she’s had no education: she was born blind and spent the first 27 years of her life unable to leave her house. 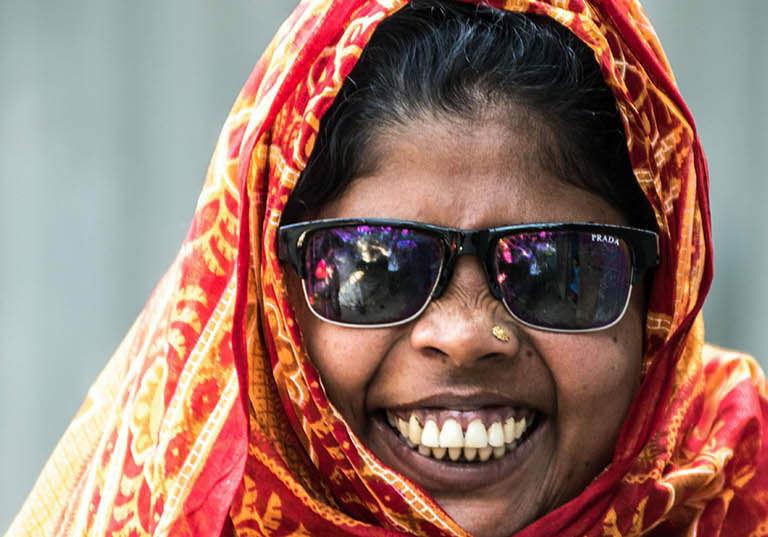 Jahanara is the leader of a disability self-help group in Bangladesh, in Raipura sub-district. She coordinates 29 other groups across Narsingdi district, and negotiates with local government, police commissioners, philanthropists and mayors. Going about her work with grace, charisma and a huge smile, Jahanara is known and admired across the district. When she speaks, people listen. Jahanara reading a legal document during a meeting with the heads of various local self help groups for people with disabilities. Jahanara was born blind, and her parents didn’t know it was possible for a person with visual impairment to go to school. As she grew up, Jahanara spent her time at home, denied access to school and work. But in 2009, she was approached by Abed from Sightsavers’ partner organisation, ABC. It wasn’t until that meeting that she realised she could do things for herself. For three months, Jahanara underwent daily living training. She learned how to take care of herself, do her hair, cook, manage her home, walk using a white cane, use transport, and read braille. At the end of the training she was asked to help set up an organisation for people with disabilities to overcome the barriers they faced together. She jumped at the chance. The Raipura self-help group was established, and Jahanara was soon elected president. 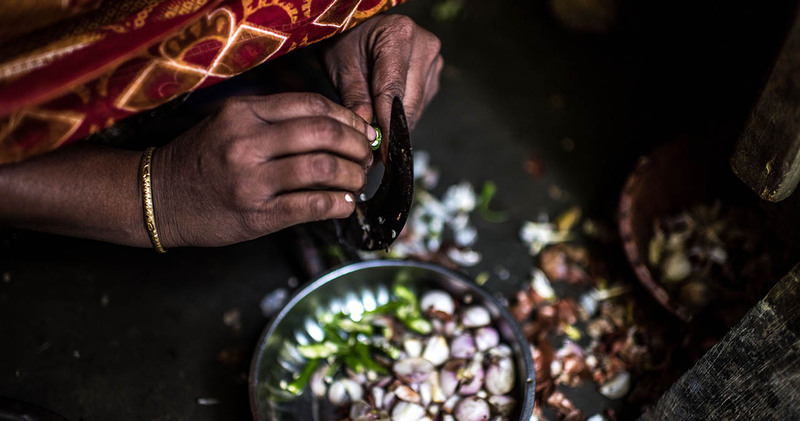 Jahanara prepares a meal in her home in Narsingdi, Bangladesh. Sightsavers continued to support the group, and other groups in the area, by offering training on ways to make a living and run small businesses, and encouraging members to engage with local authorities. The members were doing well personally, but lacked the experience to really make an impact at a district level. But in recent years an extension to the programme focused on increasing their skills and knowledge. They underwent training in human rights, leadership, legal aid and women’s rights, and learned about the national policies around inclusion of people with disabilities. Bangladesh has a national disability rights and protection act that requires local governments to support certain needs of people with disabilities. But this isn’t widely known – or it wasn’t, until Jahanara and other self-help group members started to demand their rights be fulfilled. Jahanara has had some incredible successes in her role as group president. She’s helped fellow members who have been physically assaulted get their cases taken seriously by the police. She’s resolved long-running property disputes (including one that had lasted nine years before her involvement) and helped a house owner regain possession after their home was illegally taken over. She ensures members can access funding for wheelchairs, assistive devices and housing support. As well as being a source of professional pride, the self-help groups have also transformed Jahanara’s personal life. “The most important impact on me is that I was introduced to my husband through the self-help group,” she says with a shy grin. 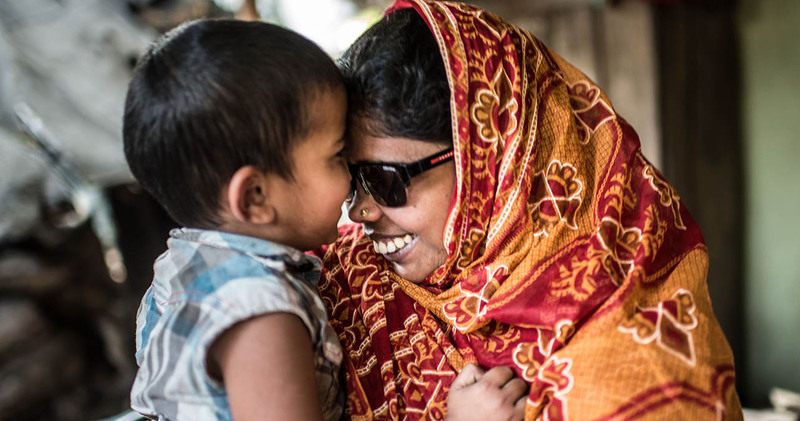 “We had a love marriage [as opposed to an arranged marriage, which is very common in Bangladesh] and we’ve been married around seven years.” Jahanara’s husband Jashim is also blind, and was part of a group in a different area. The couple manage their home, raise their two young sons, (Soab, five, and Tuhin, four) and run a small shop. They also lead grassroots advocacy across a whole district. Jahanara even takes the time to help educate other people in braille. “I am very busy!” she laughs. Jahanara with her son Sabbir. 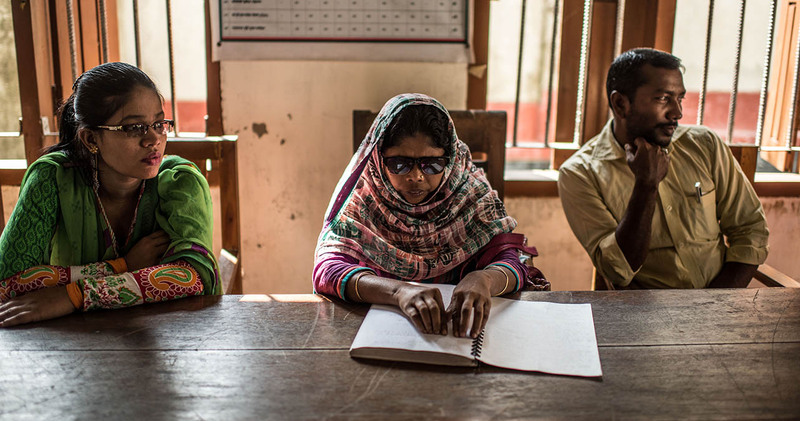 Jahanara and Jashim’s achievements have helped challenge local perceptions that people who are blind can’t do anything. “Before the groups started, they didn’t consider people with disabilities as human beings,” explains Jahanara. “They called us hurtful words like ‘kana’ [a swear word meaning blind] and ‘bhikuka’ [beggar]. Now they don’t consider us people with disabilities, they consider us as ordinary people like everyone else. This is the real change due to self-help groups. Despite all that she’s achieved so far, Jahanara has no intention of stopping. “As long as I live in this world I will fight for people with disabilities,” she says. She’s not restricting herself to Narsingdi or even Bangladesh, and she wants support from all corners of the globe. “I believe if people with disabilities could be supported in their education and training, they could do more for themselves, leave begging and do entrepreneurial activities,” she says. The Barrier-Free Inclusive Society for People with Disabilities programme was jointly funded by Sightsavers and the European Commission from 2013 to 2016.